And here you are today, enjoying cool air in the intense Summers by just pressing a button and turning your Air Conditioner ON. Life has been different for people who've passed before us. Although humans have always had an idea of conditioning the air and used various non-electrical ways to treat the indoor air in Summers, unarguably, all of the methods were time-consuming, hectic and less efficient and nothing like a one click operation existed but thanks a trillion to the mighty technology for making things ever easier for us; the humans of millennium. So, in case you don't know, here's a quick piece of information for you. The idea of modern day Electrical Air Conditioning was invented and used by Willis Carrier in 1902 and then the same Air Conditioning technique, when made practical for residential use, changed the idea of Summer survival. Scorching heat outside but a cool breeze circulating in the indoors. A dream come true! And before your interest turns into boredom, let's move on to introduce our Central Air Conditioner product and services to you. 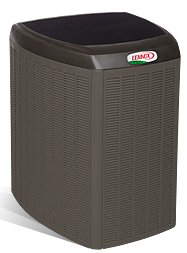 At Clean Air Heating and Cooling services, we're proud to have build a legacy by selling products of top-notch quality while also providing excellent installation, maintenance, repair and replacement services. 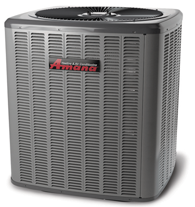 The Air Conditioner Includes standard installation for existing wiring/ducting/lineset. Electrical renovations or permits extra if required.